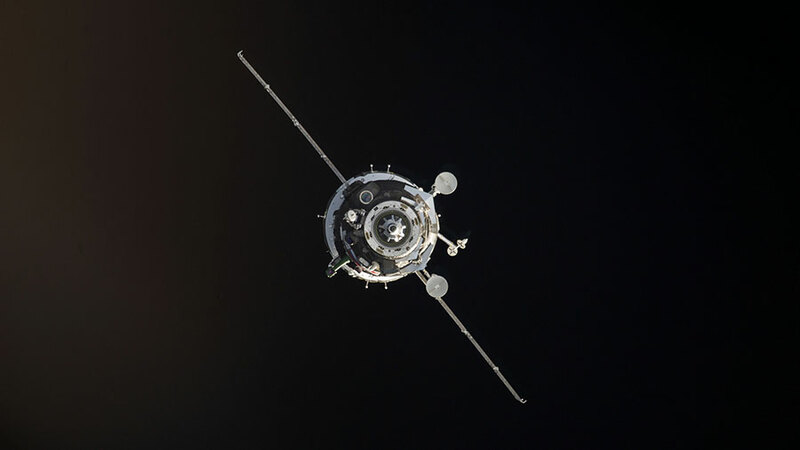 A Soyuz spacecraft is seen docking in March 2014 during Expedition 39. Aboard their Soyuz TMA-18M spacecraft, Sergey Volkov of Roscosmos, Andreas Mogensen of ESA (European Space Agency) and Aidyn Aimbetov of the Kazakh Space Agency are scheduled to dock at 3:42 a.m. EDT to the International Space Station. NASA Television coverage of the docking can also be seen online at: https://www.nasa.gov/nasatv. NASA TV will then resume at 5:45 a.m. to cover hatch opening between the two spacecraft as well as the welcome ceremony. The three will join Expedition 44 Flight Engineers Scott Kelly and Kjell Lindgren of NASA, Commander Gennady Padalka and Flight Engineers Oleg Kononenko and Mikhail Kornienko of Roscosmos, and Kimiya Yui of the Japan Aerospace Exploration Agency (JAXA). With their arrival to the station on Friday, Sept. 4, nine people will be aboard the orbiting laboratory for the first time since 2013. To join the online conversation about the International Space Station on Twitter, follow the hashtag #ISS.